Ball Moss & Mistletoe are removed with our pruning techniques. This can also be performed in the remainder of the canopy, as long as it’s in good condition. Ball Moss Trouble in your Austin Home? Mistletoe is quite different than Ball Moss. It is a parasite that lives by taking nutrients from the tree it attaches to and causes it stress. Although it may not be the cause of tree failure, it can cause the loss of major limbs if severely infected. Heavily infested trees may be stunted, reduced in vigor, or even killed; especially if they are stressed by other common problems found in Texas such as drought. Our team of Austin Tree Experts recommend ball moss removal as well as mistletoe removal when trimming your trees. 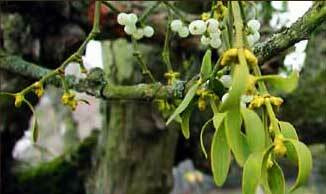 Don’t wait until your mistletoe produces seeds and spreads to other limbs or trees. Capitol Tree Care provides the most efficient pruning methods for effective removal. Our arborists are experienced and well trained to recognize, diagnose and treat your trees. 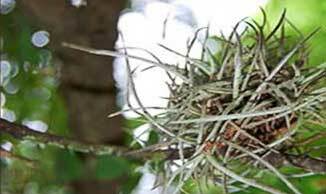 If you are in need of ball moss removal or mistletoe removal, then give us a call.